I hope it succeeds. No matter the flaws in the project, there has been such a tremendous investment of resources that it would be a crime to waste the effort. The idea itself is a good one and worthy of support. Perhaps, in time, the community will lose some of the slick “country clubby” commercialism that has dogged this enterprise from the beginning. I would have preferred to see something much more modest. The sheer grandiosity of Tom Monaghan’s vision worries me. The prices are too high, the instant neighborhoods too much like suburbia, the crucifix in the chapel too big (said to be the world’s largest! ), the ambiance of luxury and convenience too contrary to the spirit of Catholicism. 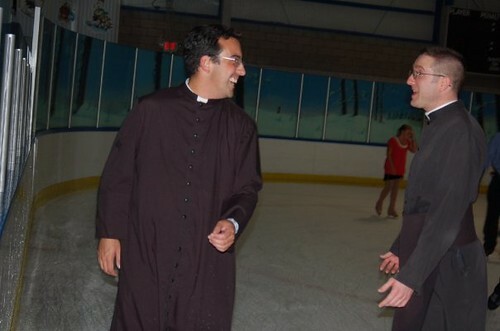 On the other hand, perhaps this is the only kind of Catholic community that can succeed in America today. We could certainly do much worse, and we usually do. So let’s not make the perfect the enemy of the good. I’ll be watching Ave Maria Town with great interest in the coming years. The north state’s traditional Latin Mass has been celebrated at a tiny mission church in Durham for the last several months. Next Sunday, it is going to be returned to St. John the Baptist in downtown Chico. In the light of the Motu Proprio, the idea this time around is for the TLM community to be “fully integrated” into the life of the parish. We will essentially be St. John’s parishoners along with those who attend the English, Spanish, and Life-Teen liturgies. Hopefully we’ll have the right to use the parish hall after Mass, to sell books and sacramentals, and to have some of our extra-liturgical activities promoted among the other parishoners. This is breaking some new ground. In previous models we were either: 1) despised and marginalized “trad invaders” of a Novus Ordo sanctuary, or; 2) inhabitants of the “trad ghetto” of a personal parish. I really prefer the latter model, since with a personal parish the atmosphere can be entirely traditional. But the “fully integrated” presence of the TLM in a Novus Ordo parish could also be a very good thing. I don’t expect that we’ll win huge numbers of Novus Ordoians to the TLM – not at first, anyway – but it is the Holy Father’s desire that the traditional form of the liturgy, and those practices associated with it, influence the greater part of the Church. That would seem to require close proximity and frequent exposure. The north state’s TLM community grew by eight souls last weekend, as some very good friends have moved to Chico from Maple Hill, Kansas, with their six beautiful children. Deo gratias! Jim Curley has a good essay up on Catholic community. He also reports that John Senior’s classic Restoration of Christian Culture is soon to be back in print. Here is one Chicoan’s appreciation for Glenn County. Our garden is just about finished, except for the tomatoes. Don’t think I’m up to a fall planting this year. Also – for some reason our goat milk hasn’t been top-notch these days. I’m not entirely sure what the problem is. We may have too much and are therefore waiting too long to drink it. I just replaced the mineral block, which should help some. Tomorrow we’ll clean out the goat barn. Last week I made a business trip to a small organic nursery on the Klamath River, about a four-hour drive from here in the far northern mountains of the state. I was permitted to stay overnight in a guest cabin on the property. The longer I’m alive, the more deeply I find myself in love with California. This region is characterized by miles and miles of pristine beauty, like something out of Tolkien’s Middle Earth, populated very sparsely by Indians, mountaineers, miners, hermits, hippies, and according to local Indian legends, the mysterious tribe of Bigfoot. Indeed, Bigfoot sightings continue to this very day. I don’t know whether Bigfoot exists, but if he does, there’s a vast amount of wilderness here in which to hide. And it is all virtually unknown to the rest of the world. My gracious host, a self-taught nurseryman and horticulturalist, prepared a marvelous dinner that evening consisting of the best goat cheese and tomatoes I’ve ever tasted. The next day he gave me the equivalent of a seminar in budding for which many people pay good money. A lapsed Catholic from a large family, he proved to be an engaging and intelligent conversationalist. Should he return one day to the Faith of his youth he’d make an exemplary Catholic agrarian. Although our fruit orchard is only two years old, we were surprised with a decent crop of peaches this year. By decent, I mean perhaps a few hundred peaches altogether. Unfortunately at least half of these were worm infested, and so it was my job to cut out the wormy parts before LeXuan did the peeling and processing. We spent several late evenings in the kitchen together working on the peaches, talking, laughing, joking. I took great pride in removing the wormy areas while saving a maximum amount of peach. She took great pride in screaming at the worms I missed and pointing them out to me. I soon discovered that it was to my advantage to remove the maximum amount of worm even if it meant wasting a little more peach. 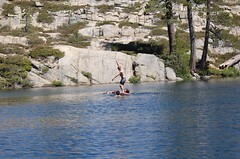 It was an enjoyable activity which I highly recommend to married couples. Good marital bonding: no television required! And husbands will find it considerably more civilized than frightening their wives with spiders or frogs or snakes (but just as much fun). 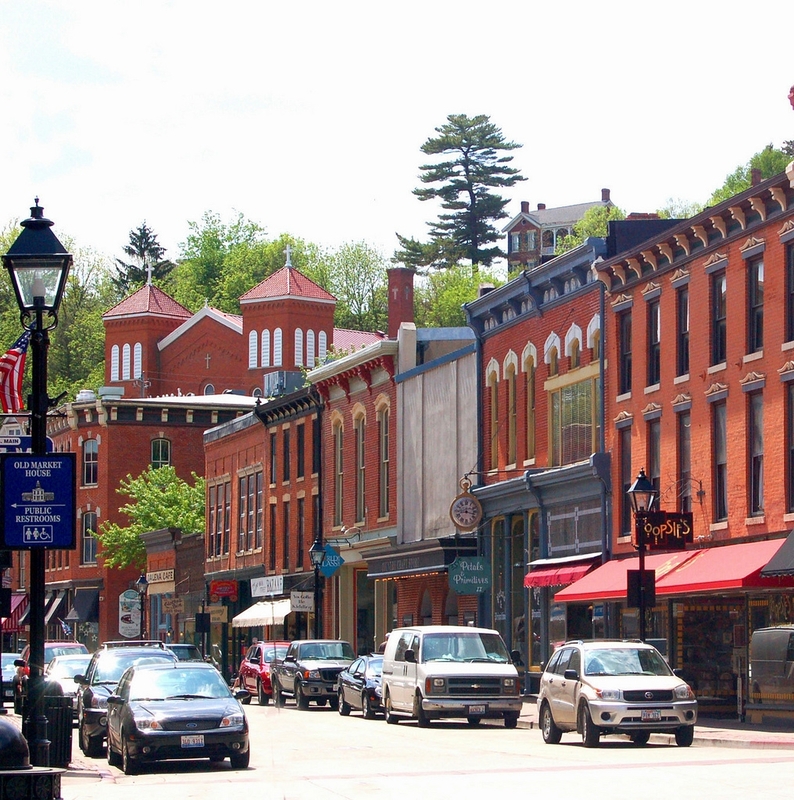 Drew Campbell of Running River Latin School tells us why he loves small towns. The Yeoman Farmer, meanwhile, illustrates one of the many blessings of rural living: good neighbors. Mary Alexander of Against All Heresies had the great honor of watching her two sons serve the traditional Latin Mass with Bishop Salvatore Matano on the Feast of the Assumption. I have yet to see a complete text of the homily, but all reports have been extremely positive. The good bishop is reported to have said “If this is what it takes to fill our churches, then so be it!” He also told the traditionalists gathered in the co-cathedral – words that I find so astonishing it is hard to type them without tearing up a little – “This is your home. This is your home. THIS is your home!” It’s good to be home, Your Excellency! Mary is quoted in the Burlington Free Press article, and a beautiful audio slideshow can be viewed here. So it saddens me to the heart when, by the venom I hear in someone’s voice or in their writing, that I can recognize that they had an unhappy childhood. I don’t know what makes a childhood happy or unhappy. Oh sure, the environment is part of it, but even that can vary. They say kids are pretty resilient and get over things fast-but not all. There is certainly much to chew on here. Mr. Curley covers all bases. Sometimes an unhappy childhood is due to circumstances beyond one’s control; sometimes it is due to one’s own choices and attitudes. In many cases (perhaps most) both factors are at work. Even children are, to some degree, responsible for their own happiness. I suspect that most children today are unhappy, many without even knowing what real happiness is. There must be many things that contribute to a happy childhood. The chief thing is for the child to be demonstrably loved and wanted by both parents. If love covers a multitude of sins, we might also say that parental love “covers” a multitude of parental mistakes. But today there are 24 million American children living in homes without fathers. At some point in their lives, between 55 and 60 percent of children will live in a single parent home. For a child, the willing absence of one parent – or the choice of one parent to remove the other parent – can be more psychologically damaging than if the absent parent had died. Such a child has been abandoned, and we can expect that child to experience all of the anxieties and insecurities associated with abandonment. There are nuances and complexities here, to be sure. Many dads are able to compensate somewhat by making heroic efforts to be present for their children, often having to overcome tremendous obstacles imposed by courts and ex-wives or ex-girlfriends. And sometimes the personality of the divorced or separated parent is so destructive that being present with the children actually does more harm than good, in which case the custodial parent must restrict access for the children’s sake. Sin makes things complicated. But the bottom line is that we have a culture of selfishness, promiscuity and divorce which deprives record numbers of children of loving two-parent homes. And yet, most of today’s parents – even those who are otherwise conservative and religious – deliberately choose to have very few children. What is more, these same parents come from small families themselves. That means that not only are their own children deprived of brothers and sisters, but they are also deprived of cousins, aunts, and uncles. As if that weren’t enough, today’s highly mobile society means that their children’s cousins, aunts, and uncles – already too few in number – probably don’t attend the same schools or even live in the same city. Hence the happiness and security of having a nearby extended family is unavailable to them. About those schools … one of the many negative effects of modern public education, which is necessarily age-segregated, is that it can drive a social wedge between siblings. Children often end up having more in common with their peers at school than with their own brothers or sisters. Siblings end up having nothing to say to each other, preferring the transient companionship of strangers to the permanent bonds of family. For many, school has replaced family as a primary source of friendship and identity. Happiness also requires a transcendent sense of purpose in life – a mission and meaning derived from something beyond the temporal demands of one’s immediate surroundings. As the old catechism taught: “Why did God create us?” “God created us that we might know Him, love Him, and serve Him and be happy with Him in heaven for all eternity.” One could spend a lifetime learning and teaching one’s children how to do this. But I daresay that even most normal families today, with two loving and married parents, nevertheless do not provide a spiritual or religious foundation for their children’s lives. Such families, while intact and functioning well, are lost in transient and worldly pursuits. Conversations around the house concern popular music, movies, recreation, fame, wealth, or the latest fashions – but seldom the Permanent Things. There is no “reason for living” imparted to the children other than “having a good time” and “making it in the world”. Children from such homes are destined to shallow, empty lives deprived of true happiness. 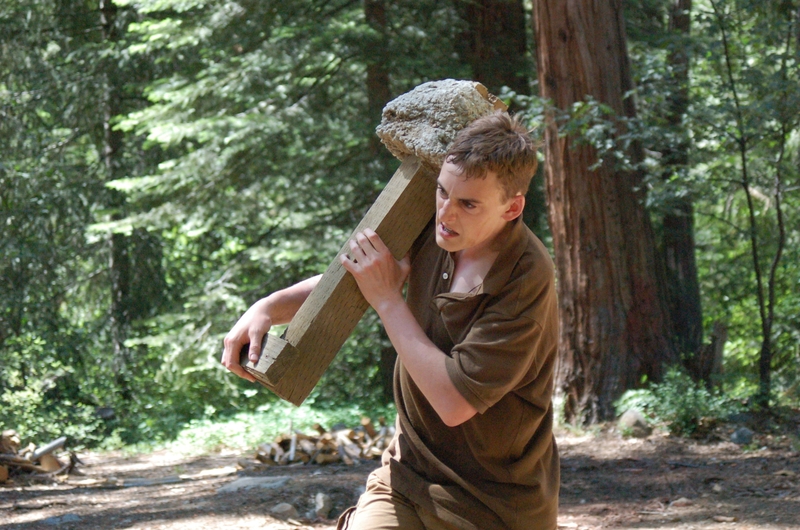 Aside from daily Mass, rosary, and catechism, the boys of Camp Sacred Heart were kept pretty busy. 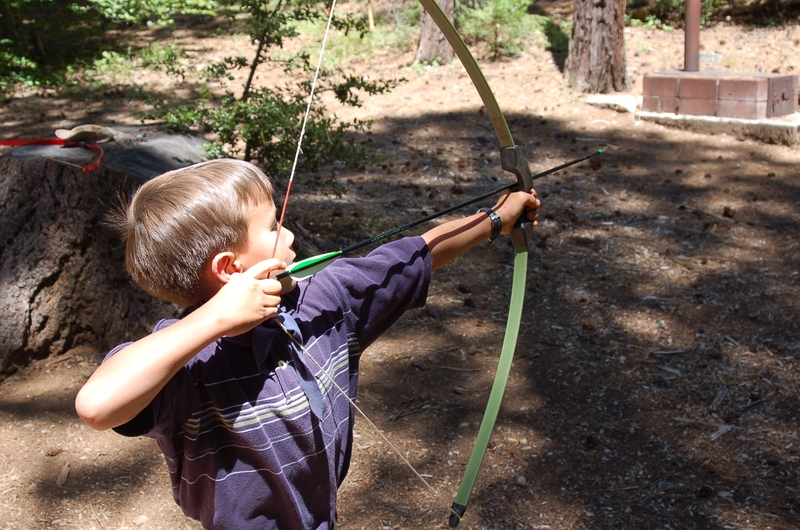 Here’s Christopher taking archery lessons. 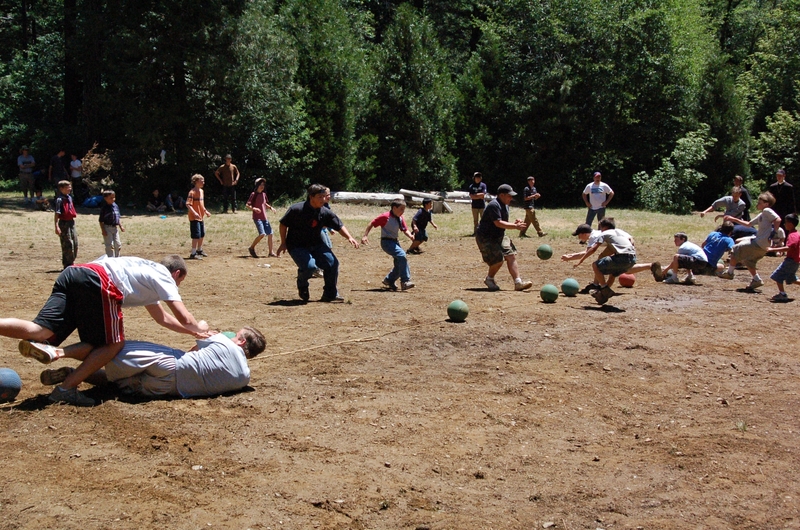 No one – and I mean no one – plays dodgeball with the enthusiasm (some would say fanaticism) of St. Stephen’s boys. 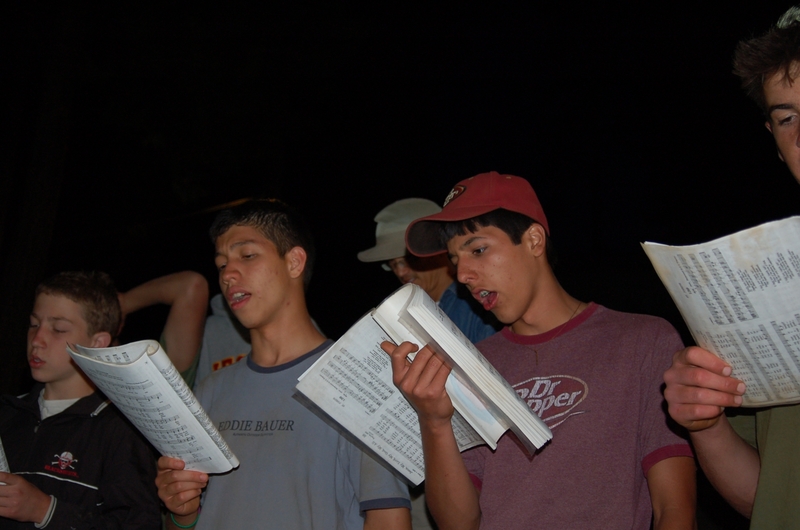 By the looks on their faces, these young men are undoubtedly singing Four Green Fields, a campfire favorite. For the Iron Man contest, participants ran laps while carrying an uprooted fencepost still attached to its concrete base. 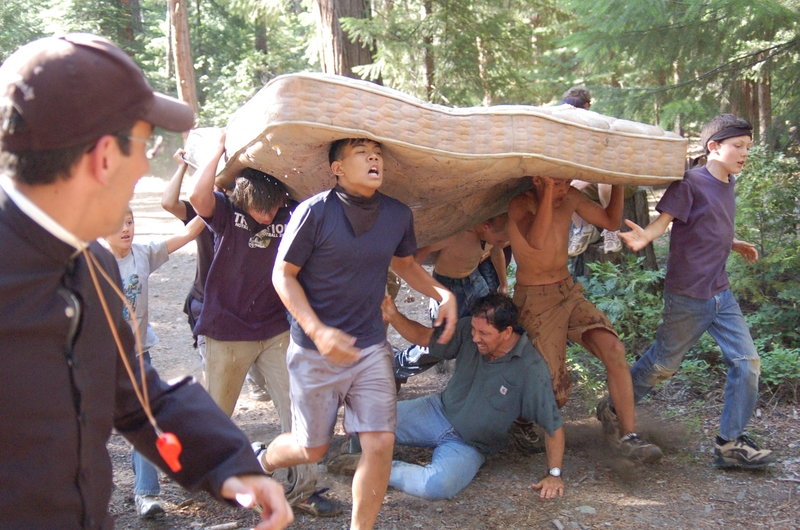 But that was nothing compared to the mattress races! This mattress had been soaked in the creek. 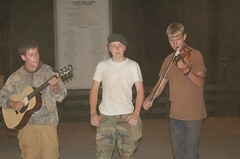 I intended to post a wonderful photo of the boys at prayer, but my image upload quota has been used up. Maybe I’ll get it on here later. 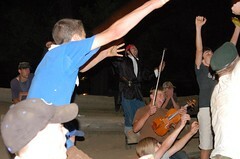 I don’t think there is anything like Camp Sacred Heart anywhere else in California. 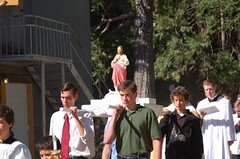 The FSSP priests and seminarians provided a marvelous example of Catholic manhood for the boys. These photos are the result of a good friend’s hard work and generosity. Thank you, Gary! So far as I know, Laurie LaGrone hosts the only other Orland blog that isn’t a high schooler’s MySpace site. In fact, Laurie now has two blogs: Foolery and Reasonably Educated Bumpkins. She’s not only a talented writer, but has a great sense of humor and a native daughter’s love for her hometown. She might be a little bit spicier than my readers are used to, but not much. Her commenters can be amusing too. Today I’ve been ruminating over one commenter’s analysis of our real estate situation, in which he stated that “the highest and best use for any parcel in Orland is probably cow pasture. Or a taco truck.” I’ll take that as a compliment, thank you very much. “Orland is slowly coming up in the world. S L O W L Y. When you drive west from Chico into Orland, the town is beginning to look somewhat 20th century, and No, that’s not a typo. Near the first reduced speed limit is a pair of large office buildings — three- or four-story buildings, I might add — instead of a rotting house with shot-out windows and six dead cars on the waist-high dead lawn. Hey wait — that sounds like our house . . .
Holiday Market converted to Sav-Mor Foods earlier this year, and, while I’m concerned for them that they apparently cannot afford e’s for their sign, they are doing well. It’s actually a busy store now, since all of Orland seems to have decided to shop there instead of boycotting the place like so many of us used to. And we can actually afford to buy food there now! Heh. I need to explain that to Jan at the next Chamber meeting. Don’t miss Laurie’s beautiful photographs of the Orland area. You will notice that she says the famous Orland arch has “got the uglies”. Well, Orlanders can get away with saying such things, but outsiders need to show a little more appreciation for its aesthetic qualities. The Chico Enterprise-Record ran a prominent front page story this morning about the Latin Mass with an emphasis on Chico and the Sacramento Diocese. The photo on the front page is very appropriate and conveys the intrinsic humility of the old rite: we see the priest’s consecrated hands, but not his face. I’m also impressed with the writer, Mr. Larry Mitchell. The man is serious about getting things right and did a lot of homework for this story. The E-R staff also visited one of our Masses and produced a beautiful audio slideshow. The priest is Fr. 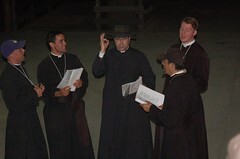 Erik Deprey, who is sadly being transferred from Sacramento to Vancouver, and the male choir consists of four talented young men who have been trained at St. Stephen’s. UPDATE: Part II of “Latin Rebounds”. A few years ago I came to the conclusion that The Jolly Pocket Postman is the perfect children’s book. What a delightful read. The text is lyrical, the imagery is thoroughly traditional, and the story is steeped in the best of Anglo-American culture. If the humor, idiom, metaphor, and literary allusion contained in this book come naturally to you, then you are a culturally grounded individual and were not cheated of an education. If these do not come naturally to you, then, well, you have a lot of catching up to do. I put myself in the latter category, but never tire of reading this book to my kids. They never tire of it either. The postman is something of an American icon. At least he was before “going postal” became part of the national vocabulary. In the old days a postman made a good family wage. He knew everyone in the neighborhood. He knew the names of their children and their pets and the relatives who sent them letters. He knew everyone’s business, in fact, but was good at keeping it to himself. He was part of the glue that held communities together, at a time when someone was always at home during the day, and not only home, but likely to be outside in the garden or chatting with a neighbor rather than indoors watching television. His job was tedious and a bit lonely, but not overly technical – the perfect job for someone like me. The tediousness was compensated for by frequent, though brief, social interaction with the people on his route. Ah, the glory days of the postman! If we can’t bring them back, we can still celebrate their memory by reading the best modern children’s book around.